As a business owner, you already recognize that your employees play an integral role in your company’s long-term success. Without having the right team assembled and ready to execute, businesses in every industry find themselves vulnerable to the competition and unable to sustain the corporate health needed to maximize operational efforts. Finding (and keeping!) the right internal resources is one of the soundest ways to solidify your organizational strength and ensure that you’re ready to successfully act on every business opportunity that comes your way. 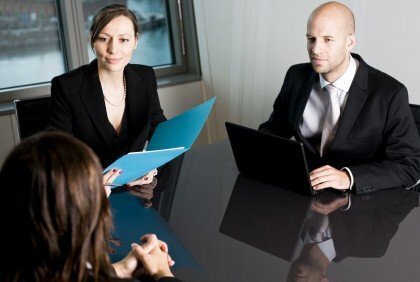 Is Your Current Interview Style Hindering Your Search Process? While many can’t argue that sourcing the right talent for their organization proves invaluable, many business owners often find themselves struggling through or avoiding the hiring process altogether. What’s a common reason why these entrepreneurs find bringing on new employees daunting? The interview process. Hiring managers in any industry find that when it comes to a phone screening or face-to-face interview, their current approach simply doesn’t yield the information they need to make an informed hiring decision. If this sounds familiar, you’ll certainly benefit by following these tips from the experienced team of Milwaukee recruiters at The Lawler Group. If your business is struggling with the hiring process, know that there are proven ways to effectively engage and connect with every candidate that you screen to glean the right details to help solidify long-term hiring success. The first thing to consider when strategizing your next candidate interview is your current interview style. Do you tend to ask questions that only require one word answers? Do you find that you don’t really ask many questions at all, but instead use the applicant meeting as a time for you to do most of the talking? Both of these approaches can prove counterproductive; before your next screening, take the time to write down some open-ended questions that will require your applicant to divulge and elaborate on his/her relevant experience. Always try to let the applicant do most of the talking, with a set aside period of time toward the end of the meeting for them to ask you questions. Once you’ve worked on your style, it’s important to have a detailed understanding of your current open position. Create a thoroughly outlined list of strengths, skills and experiences that the successful applicant will have. Not only will you be prepared to offer valuable insight into the expectations associated with the position for the applicants, you’ll also be best prepared to identify great candidate fits as they are presented to you. Beyond doing your job description homework, it’s also critical to spend the time needed to familiarize yourself with the candidate you’re meeting with. Reading resumes and other submitted materials as well as looking up online professional information can best prepare you to ask the right questions during your exchange. Finally, chances are that you’ll meet multiple candidates for any given position; do you best to keep your approach/style consistent with every applicant. This is the best way to evaluate all the information you’ve received from each candidate fairly and ensure that you make the best possible hiring decision. Do you currently follow all these tips and pointers, but still feel like you’re not executing as well as you should be? It may be time to bring in professional Milwaukee recruiters to assist with your search. The Lawler Group’s experienced Milwaukee recruiters can help balance out the areas in the interview process that you’re struggling with to help yield a solid candidate fit as quickly and conveniently as possible.